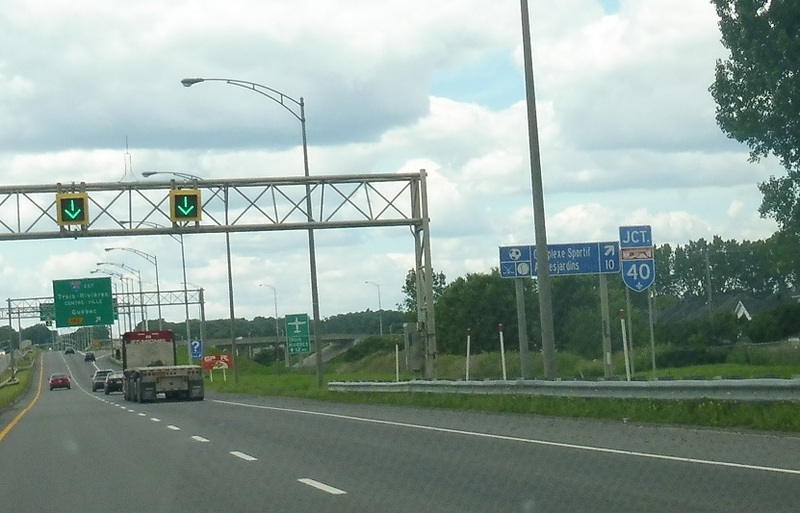 Reassurance shield after the R-138 interchange. 155 is no longer an active route along this part of the corridor, though it’s still well signed. 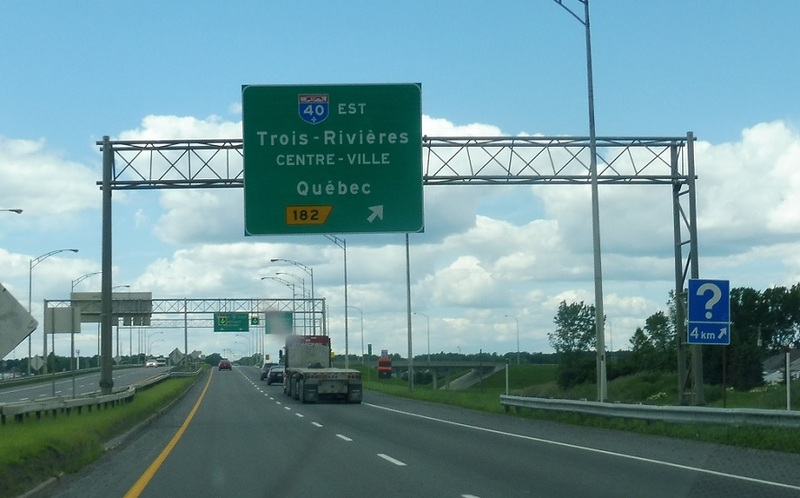 Just after the R-138 interchange we’ll approach Autoroute 40. 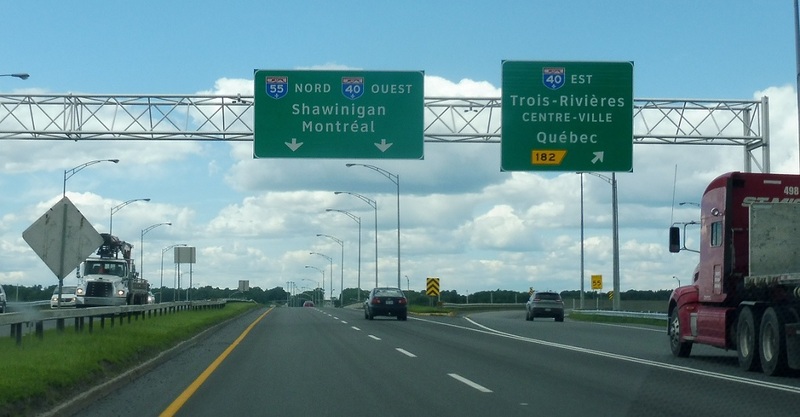 Exit ahead for A-40 east towards downtown Trois-Rivieres and Quebec City. 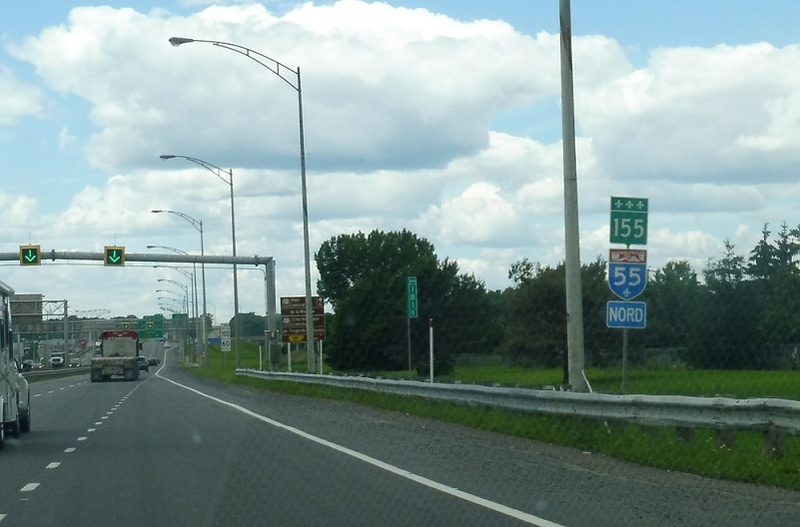 A-40 west briefly joins A-55 north.